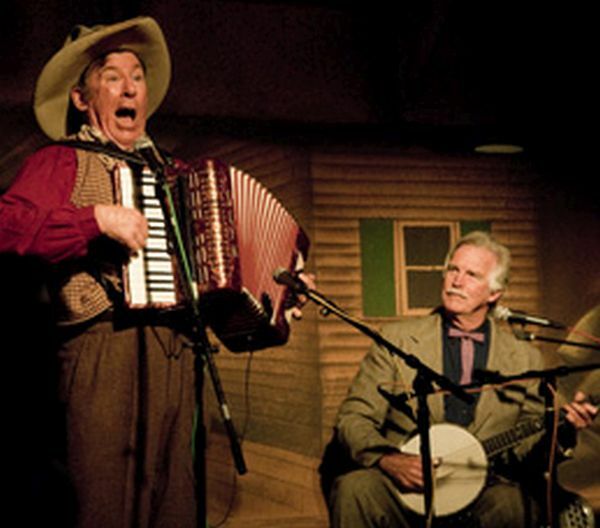 Sourdough Slim and his sidekick Robert Armstrong play Western classics, country blues, and string band favorites from rural America in the 1920s, 30s, and 40s. You’ll hear virtuoso yodeling and masterful yippy-tie-yi-yaying, off-beat jokes and wisecracks, and heartfelt singing, along with nifty playing on banjo and harmonica, accordion and guitar, ukulele and saw. These two modern-day vaudevillians share a delight in America’s rich musical heritage and they know how to communicate that feeling to the audience.